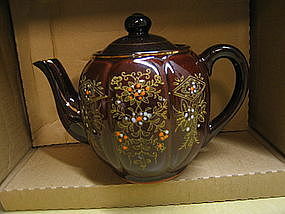 Vintage redware teapot in a 40+ ounce size manufactured in Japan. No chips, cracks, breaks or crazing, but has minor paint loss. I need your zip code to calculate the postage.